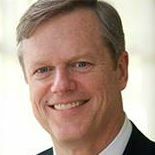 Photo Source: Charlie Baker’s Facebook page. Once they were elected, Governor Charlie Baker and Lieutenant Governor Karyn Polito asked a bipartisan transition committee to look at state operations. The report provides guidance for the Baker-Polito administration. So take a look and let the governor and lieutenant governor know what you think. Strategies for Children’s Amy O’Leary, director of the Early Education for All Campaign, served on the transition committee’s education policy advisory group. “Access to high-quality early care and education is limited, especially for low-income children who stand to benefit the most,” the report says. A key theme of the report is “Making the Whole Greater than the Sum of the Parts,” through innovative state government. Please build on the report’s momentum by letting the Baker-Polito administration know that high-quality early education is a dynamic, proven way to improve outcomes for children and prepare the state’s future workforce. “We’re excited to get to work building a Massachusetts where everyone who wants to work is able to do so; where every school is a great school; and where our communities are safe and thriving places. We look forward to engaging you as we get to work on following through on that vision.